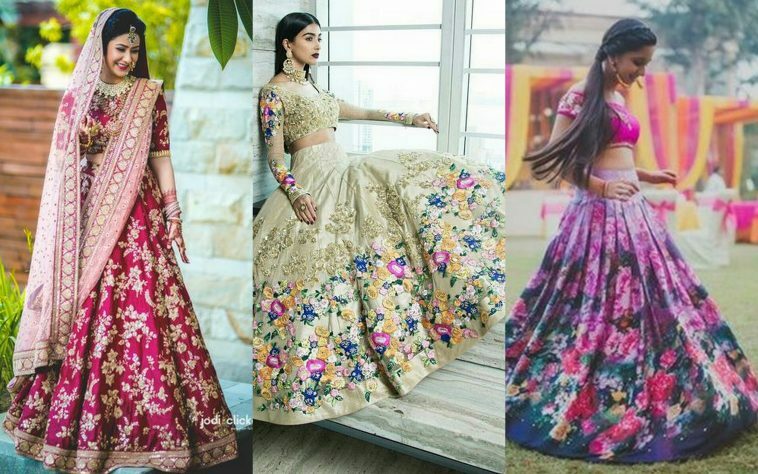 9 Floral Lehengas For The Brides Who Want To Look Perfect On Their Wedding. . .
Flaunt your bridal look with these gorgeous lehengas! 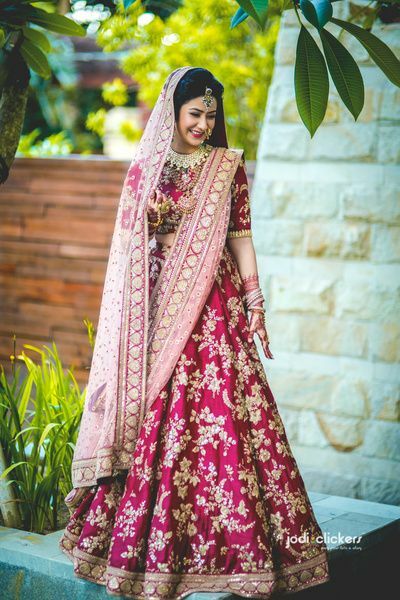 If you have been following the bridal trends, then you must have noticed that various designers are introducing stunning floral lehengas for the brides who want to stand out on their wedding. 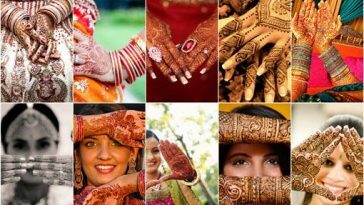 There are floral anarkalis for mehndi ceremony, lehenga cholis for your big day and floral dresses for reception. Floral patterns not only look elegant and modern but the brides wearing such designs also stand out among the rest. 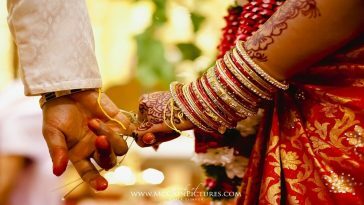 Are you one of those brides who don’t want to opt for old traditional dresses style for your big day? 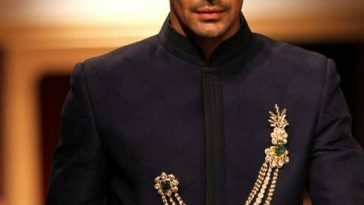 Then we are going to show you some of the most stylish floral clothes which you can wear on your wedding for a perfect look. 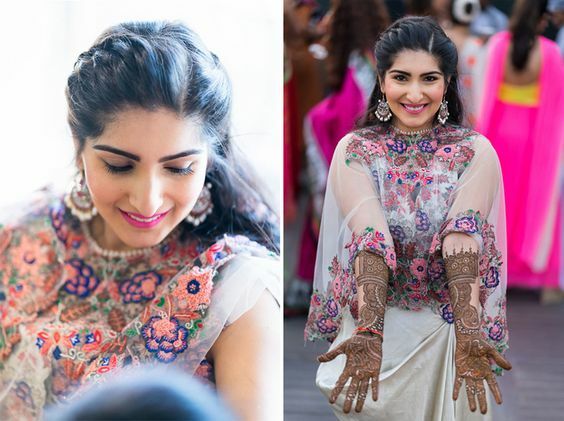 This bride is giving us major fashion goals with her stylish floral dress on her mehndi ceremony. 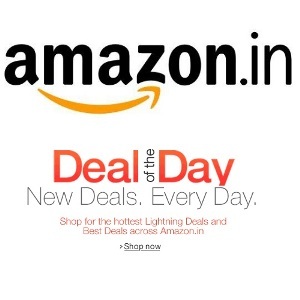 You too can opt for something similar if you want to shine on your big day. Simple yet elegant! 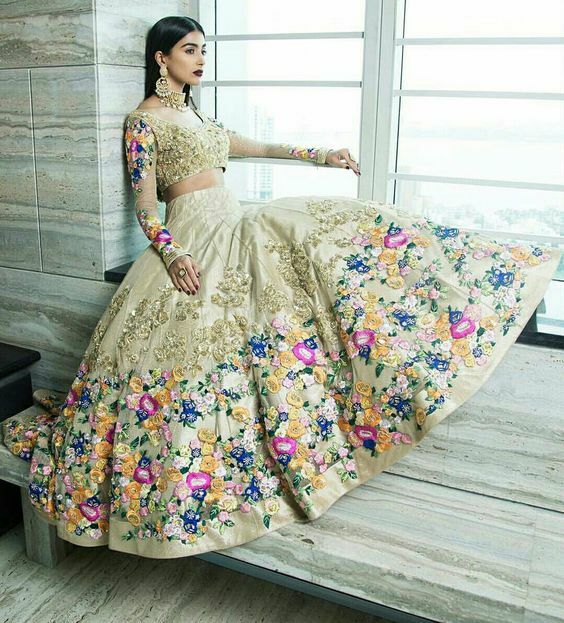 This floral lehenga choli is for those brides who don’t want to go for something heavier and traditional on their wedding. Wear this classis floral lehenga and complete the look with royal jewelry. This vintage style lehenga by Shyamal & Bhumika is for the brides who want to look classy and vintage at the same time. This gorgeous green lehenga with floral motifs and net dupatta is perfect to wear for engagement or reception ceremony. 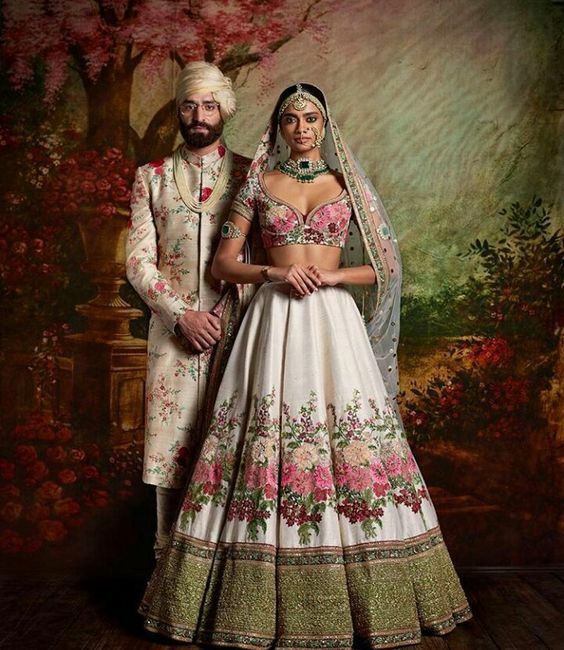 Sabyasachi always manages to impress us with its traditional and elegant wedding dresses. 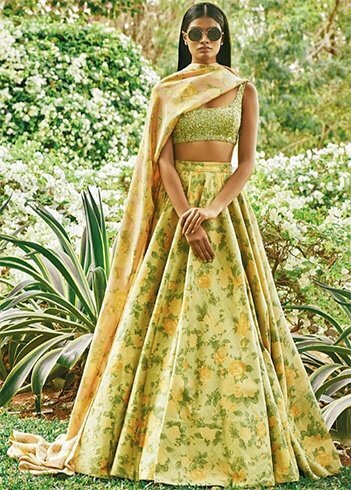 With this lime color lehenga and trendy lemon green blouse, Sabyasachi has created the old classy look for the brides. You can opt for similar pattern for your sangeet ceremony. This gorgeous pink and purple floral lehenga is suitable for the brides who don’t want to go bling on their sangeet or mehndi ceremony. Complete your look with matching jewelry and simple hairstyle just like this girl. 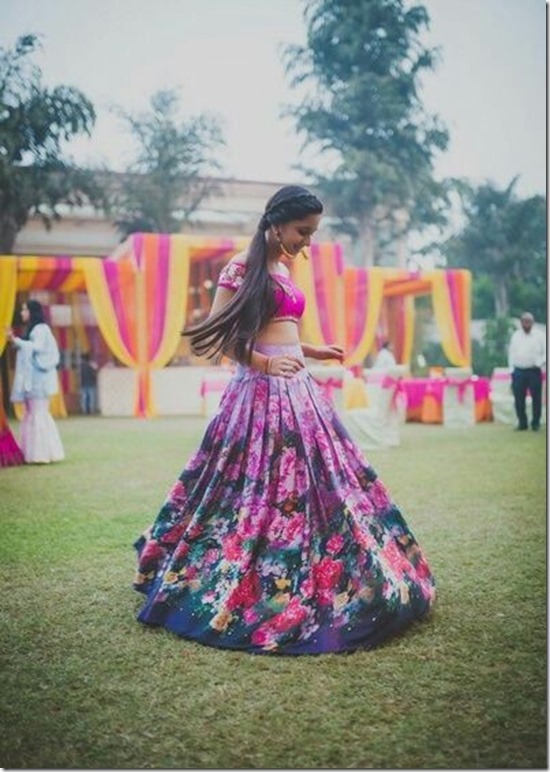 This stunning girl opted for a hot pink floral lehnga and she looks no less than a princess on her wedding day. She is wearing matching blouse and lehenga with a simple dupatta to complement her dress. This stunning dress has colorful and gold flowers pattern all over it. 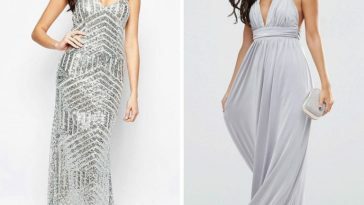 This is perfect for those bridals who want to wear something modern and classy on their reception. Complete your look with a dark color lipstick just like this bride. 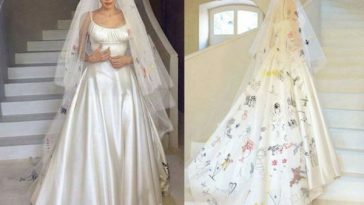 Do you want to look like a diva on your wedding? Then go for this stunning blue outfit by Shyamal & Bhumika for your sangeet or reception ceremony. The white dupatta with the dress goes well with the whole look. Mira Rajput turned many heads on her wedding with our Bollywood star Shahid Kapoor. With her classy and simple fashion sense, she has won many hearts. 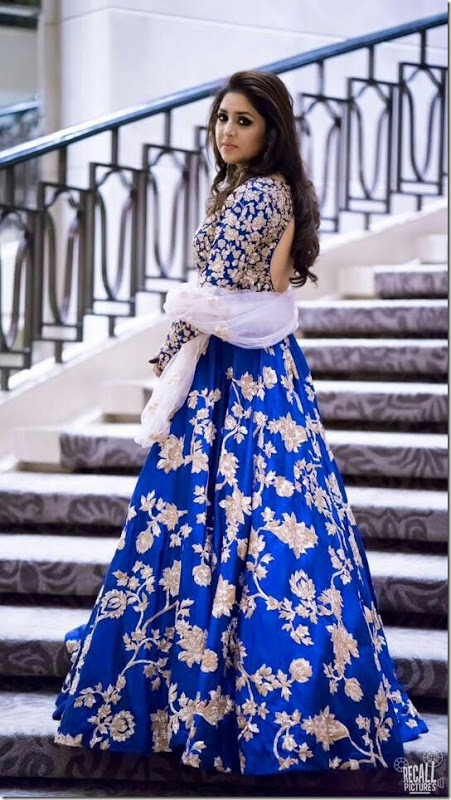 For her reception, she opted for this elegant blue and white floral dress by Manish Malhotra. Doesn’t she look stunning in this whole look?